If you were in Ohio last September 11th at the Northeast Ohio Camaro Club’s Annual Fall Classic, then you probably saw the debut of the 2011 “American Pride” Camaro to the public. From the date of its reveal and the name you have probably already guessed that the “American Pride” Camaro has ties to military service and American history. 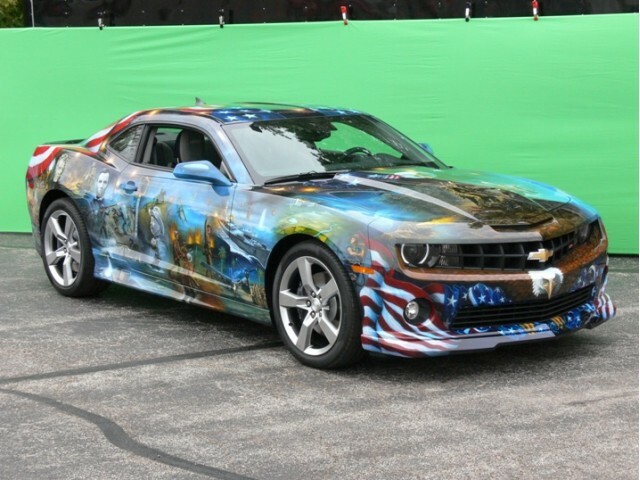 The Camaro features a special artistic paint job that represents the history of American freedom. For those able to attend this year’s 2011 Denver Auto Show you will be able to see this special car live and in color. To give you more detail behind the “American Pride” Camaro, it is the result of an artistry and enthusiasm of Mountain Muscle Cars in Cosby, Tenn. The patriotism for America and the men and women who serve America in the armed forces influence the design and overall outcome of the project. The design is a tribute to American history and heroes that includes the depictions of military servicemen and women and U.S. Presidents. The entire package comes together in a truly remarkable airbrushed paint job that inspired people around the U.S. If you haven’t seen this car in person, it is a must see while attending the 2011 Denver Auto Show. 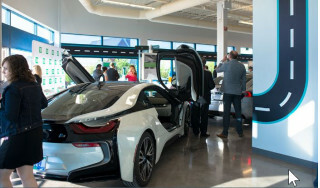 Check out the other features at the 2011 Denver Auto Show like Camp Jeep, Ride and Drives and Electric technology feature vehicles. Be sure to stay tuned to AllSmallCars.com for more news live from the 2011 Denver Auto Show. For those into social media, check us out on Twitter via our handle @allsmallcars.